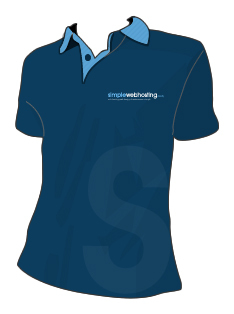 Exclusive to simplewebhosting.co.uk, when you order any of our reseller purchase viagra hosting plans you’ll get a stylish simplewebhosting.co.uk polo shirt to do the gardening in! These are the exact same shirts we wear in the office every day so if you want to look just like your favourite web hosting company then you’re in luck! Our reseller plans allow companies, individuals and groups of budding entrepreneurs to easily establish their own web hosting business. Be a part of the huge web hosting business – there are still thousands of companies and even individuals that wish to have an online presence. Our complete, white-label solution offers great value and superb support. Find our more about our great value reseller hosting plans. Reseller hosting accounts aren’t just for resellers! A recent survey of our reseller web hosting customers produced some surprising results; none more so that many of our resellers don’t actually resell! An increasing number of web users are running multiple websites for a variety of reasons and, with our reseller plan, once you’re hosting more than three websites, it’s more economical to switch to a reseller plan. Our Reseller viagra buy online Plan 1, for example, allows you to host up to 100 websites for a flat monthly fee; imagine what you could do with that! You can create websites for friends and family members or even, yes, you guessed it, resell your webspace to make some money!